How do I change the telephone number calls are forwarded to? Choose My Number and select the number you want to configure from the list. 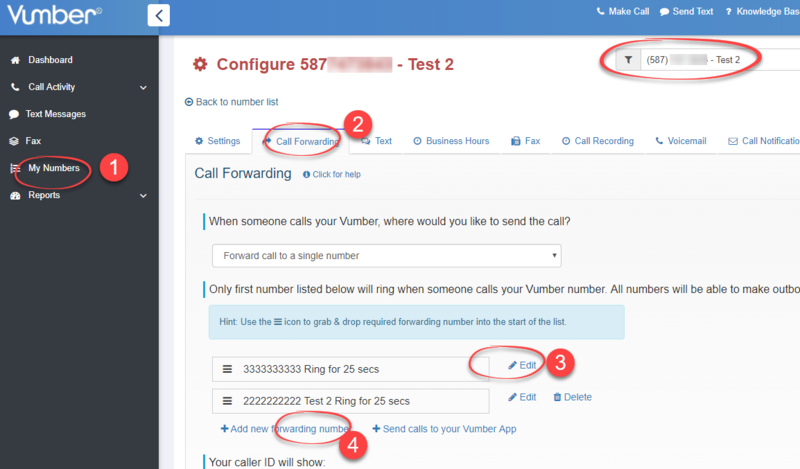 Select 'Edit' to update the telephone number calls are forwarded to. Alternatively, you can 'Add a new forwarding' and once added, move that number to the top of the list. It will then receive all calls.